Pattern Selection: The HZL – DX5 has 185 stitch patterns including several direct stitch patterns as well as 3 fonts. 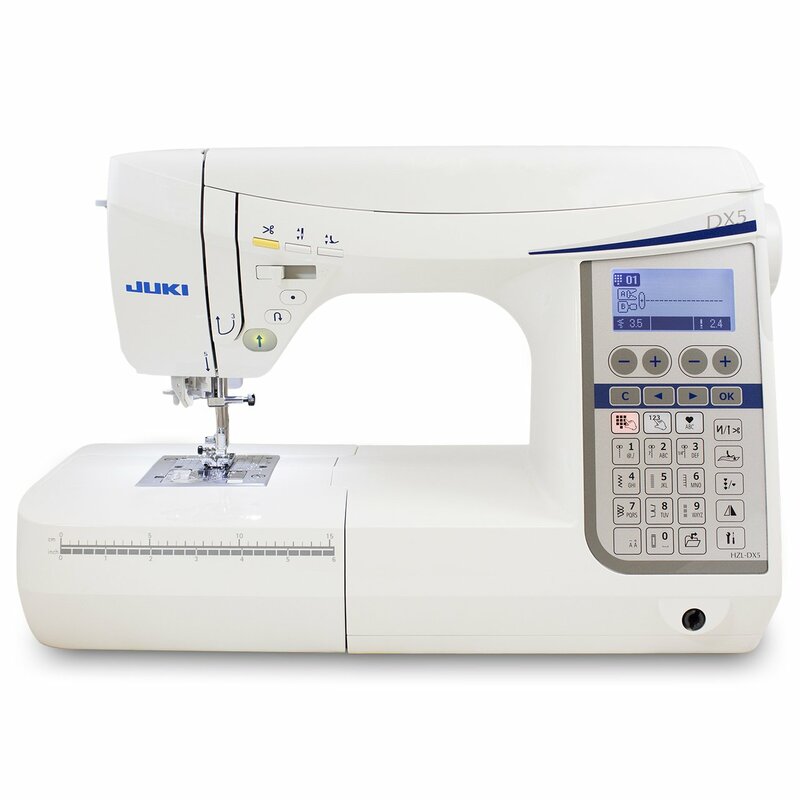 Buttonholes: Easily create and enjoy 16 beautiful buttonholes with Juki's combination of industrial background and modern technology - Use the buttonhole sensor system for optimal feed on all types of fabric. You will love the one step buttonhole as it measures and evenly sews on both the right and left sides. 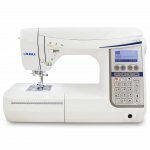 Automatically works in optimum order for a perfectly finished buttonhole. Foot switch function - Allowing for greater versatility, Juki now offers assigned foot control options. Plus More Functionality: Optional presser foot pivot function, Adjustable starting/reverse stitch speed, Lock stitch - For the lock stitch at the start and the end of sewing, you can choose two kinds, Automatic needle threader, Free motion - Flip the switch and drop your feed dogs, Straight stitch slide plate - Simply slide the front lever to switch to a single needle hole!